Are you one of those guests in kiddie parties who attack the kids’ buffet because they have ‘cooler’ food choices like party spaghetti, chicken lollipops, pork bbq and corndogs? I hope I’m not alone on this one. I enjoyed attending parties as a little nugget, participating in all the games and eating red hotdogs with marshmallows on sticks. An 80s kids’ party won’t be complete without a special appearance of a mascot who would do a special dance number for the kids. Such fond memories. 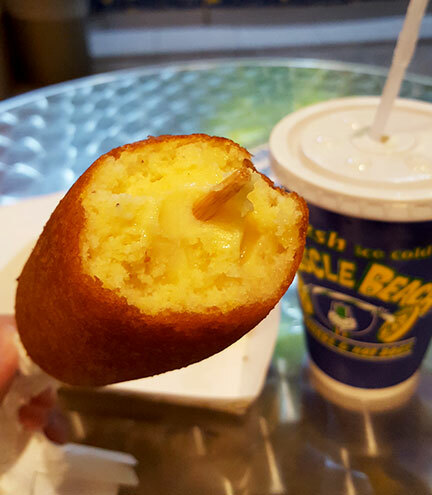 I’m a big red hot dog fan but an even bigger fan of corndogs. Weird meat dipped in batter and deep fried; what’s not to love? 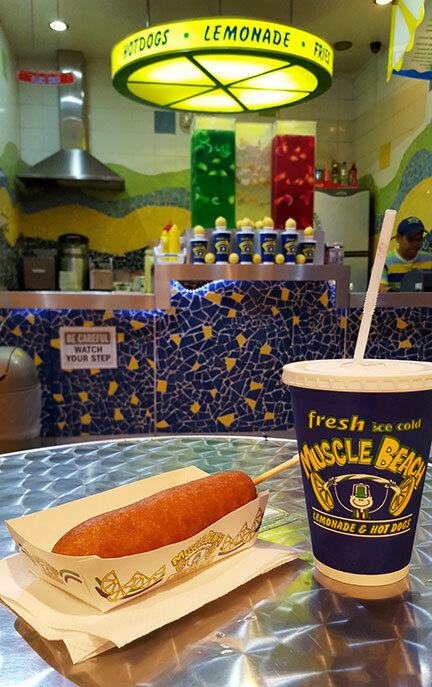 I’m just glad that Muscle Beach is still around for kidults like myself so I don’t need to crash kiddie parties to get a corndog fix. 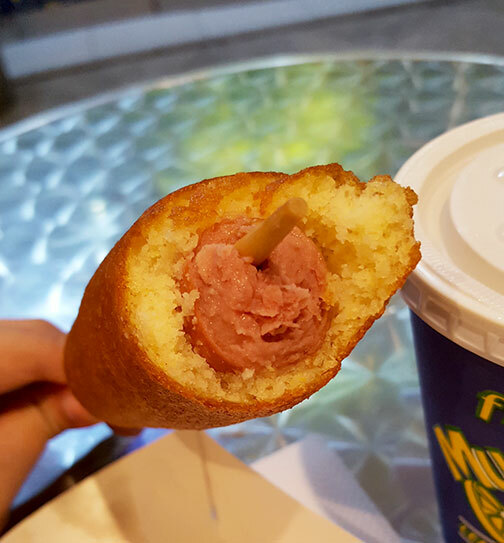 I found myself in a mall in Alabang, was feeling peckish, and I thought a corndog would do the trick. It’s nice that they still cook as you order. 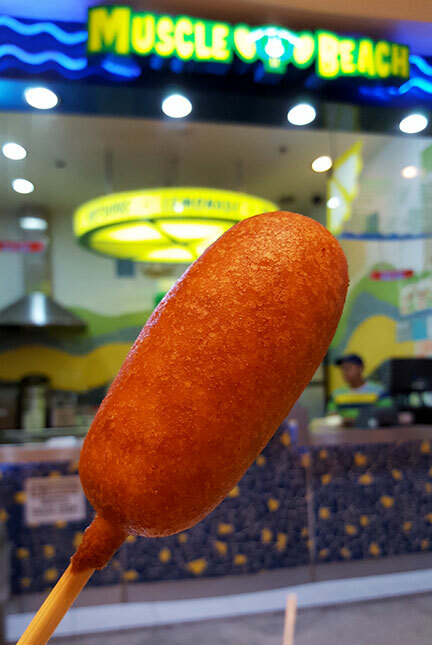 I ordered a corn dog, a cheese dog and a lemonade. No condiments for me, I just like eating them plain. Nostalgia on a stick, so good.